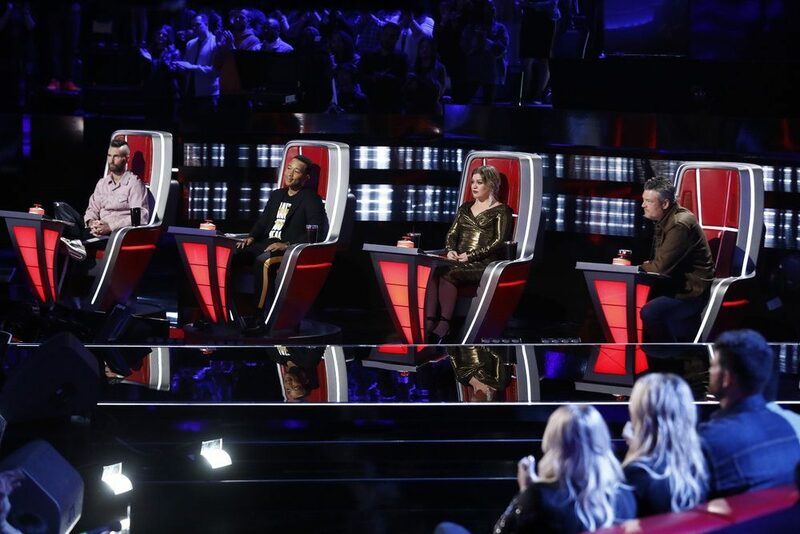 NBC’s hit reality competition show The Voice will return to televisions nationwide when season 16 premieres on February 25. 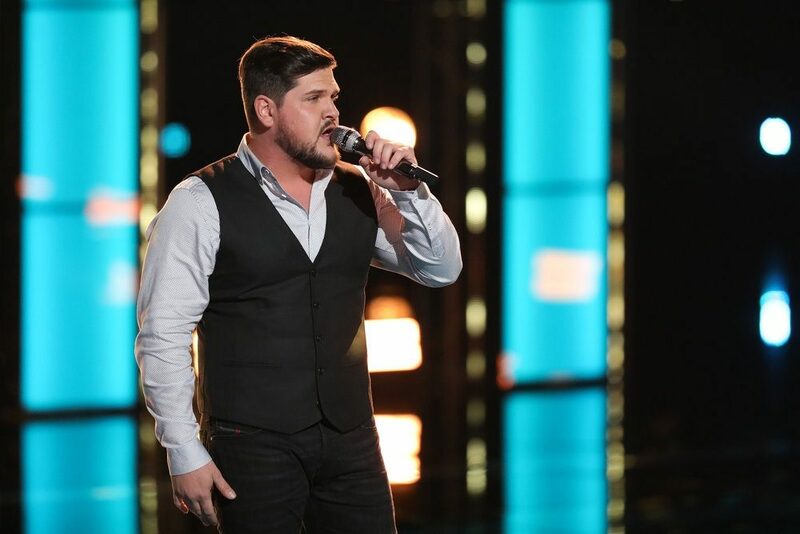 As the date draws nearer, coaches Blake Shelton, Kelly Clarkson, Adam Levine and John Legend are giving an inside look at what goes into preparing for a new season. The four coaches got together for their first commercial together, one inspired by the movie Big. 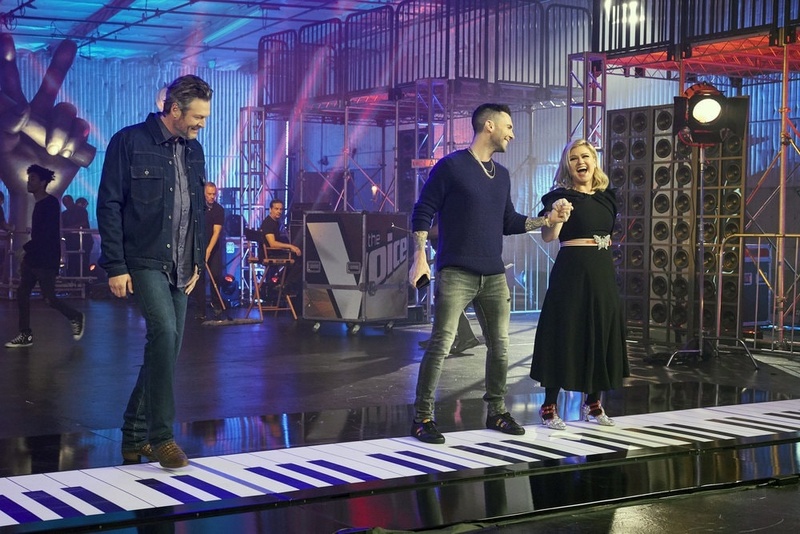 As veteran coaches Shelton, Clarkson and Levine chat about how Legend won’t be any competition at all, the come across a massive floor piano. The trio start playing a sweet rendition of “Lean On Me” before Legend shows up and asks to join in. The EGOT quickly takes over, showcasing his ‘legendary’ piano skills as the three others begin to question everything. Quite a lot went into making the adorable minute-long sketch as The Voice coaches revealed in a behind-the-scenes short posted by the show. “They kind of exaggerate how impressive I am,” shared Legend, before letting fans know a body double was used for the stunts. “People may not realize everything that goes into promo,” said Shelton in the clip in between shots of Legend dancing across the keyboard. The clip ends with hos Carson Daly playing the three-note NBC song in front of a green screen, that is then transformed into the backstage warehouse seen in the commercial. 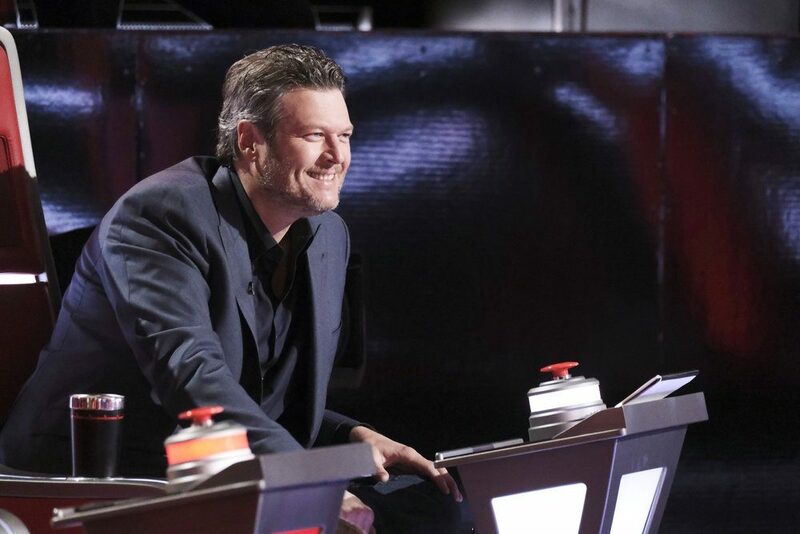 The Voice returns for season 16 on Feb. 25 on NBC. Check out both the behind-the-scenes and final promo videos above.